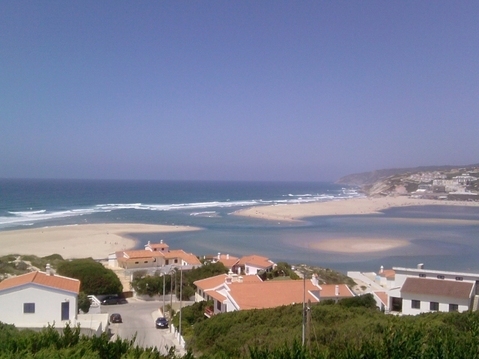 Royal Óbidos is a tourist venture which will offer "fractional ownership", located on 136 hectares between Praia D'el Rey and Bom Sucesso Beach on the Lagoa de Óbidos. It will "start" (arrancar), in the "coming days" according to a rather vague report in the Gazeta das Caldas two weeks ago. You can also see the report on the web site of the Municipality of Óbidos. It is not stated in the article, but by "start" they presumably mean construction, because the sales office is already in place and they "started" a while ago. Arrancar is a verb which also means extract, uproot, pull out, and as I reported here in October 2008, the site clearance and uprooting of the eucalyptus trees was underway at that time. So, by my reckoning, the project "started" about a year ago. Royal Óbidos Spa & Golf resort is being developed on Portugal's glittering Silver Coast, 45 miles north of Lisbon, close to Bom Sucesso beach. 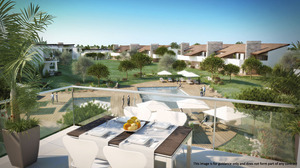 The 336 acre site, close to the medieval town of Óbidos, will include luxury apartments and villas set alongside an 18 hole championship golf course designed by Severiano Ballesteros.